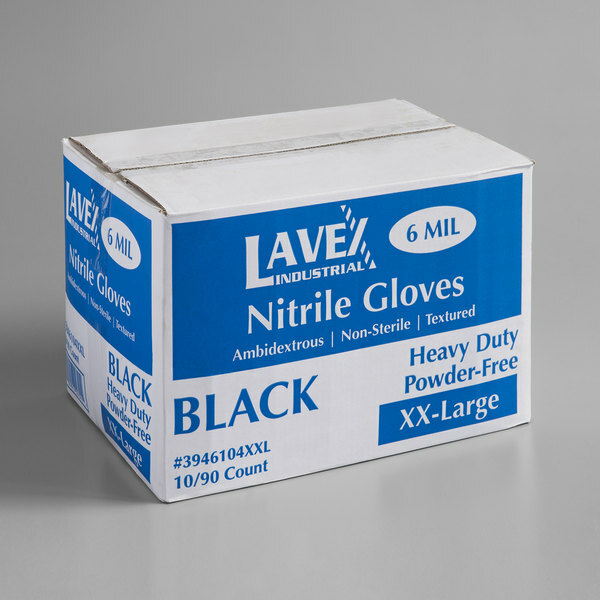 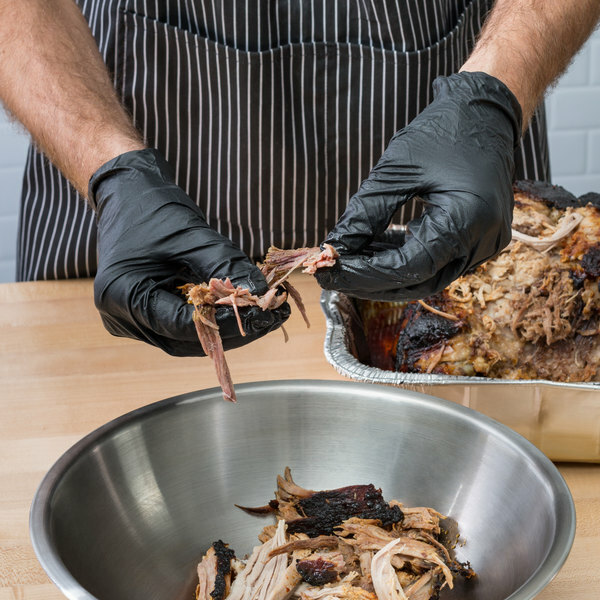 For even the toughest commercial jobs, choose these Lavex Industrial 6 mil thick, powder-free XXL nitrile heavy-duty gloves to complete the task. 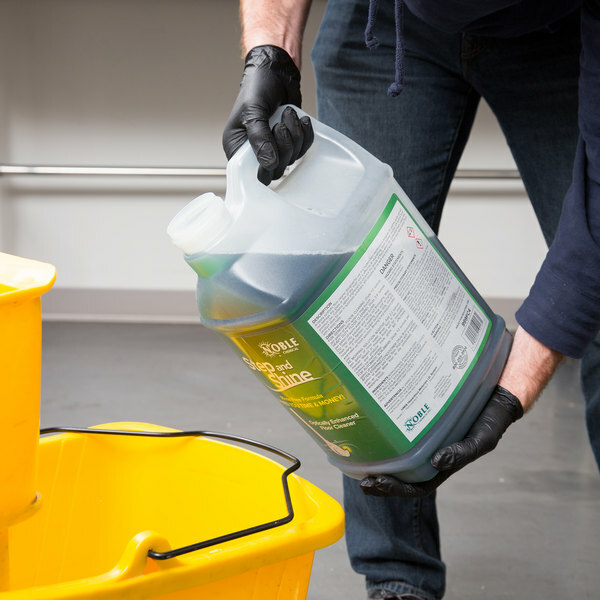 The XXL size allows you to have gloves ready for those employees with average hands. 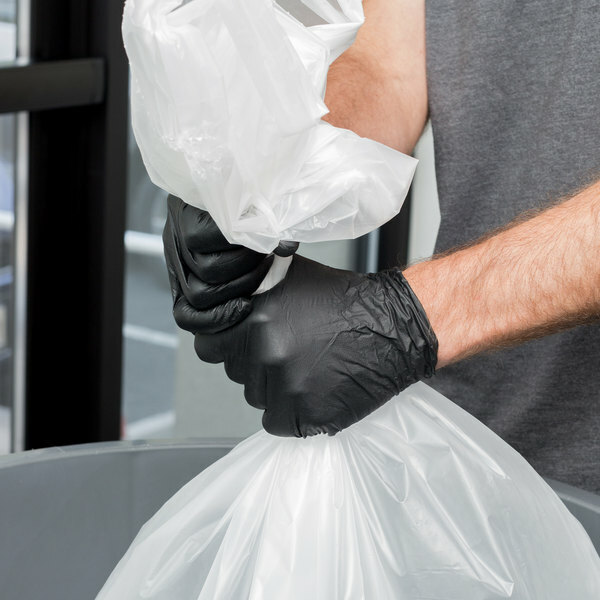 By stocking a variety of glove sizes you can be sure all employees will be able to complete their tasks with ease and efficiency. 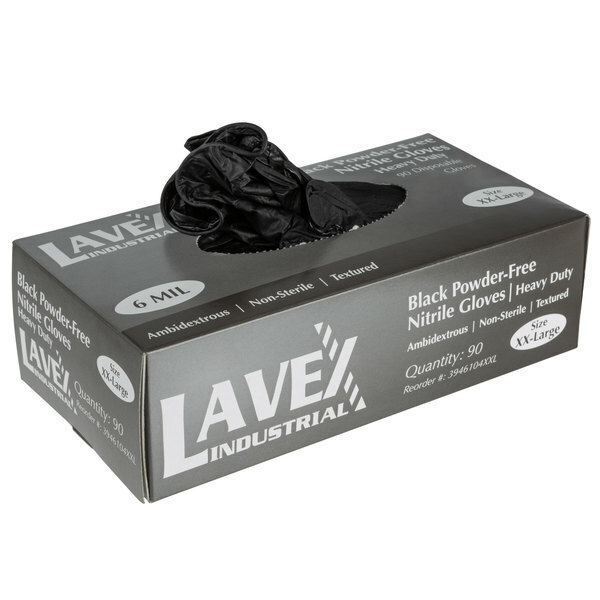 Love these gloves, you will pay more but i like how they look on the hot line, they are very durable too, if you go through a ton you might consider the cheaper Noble powder free. 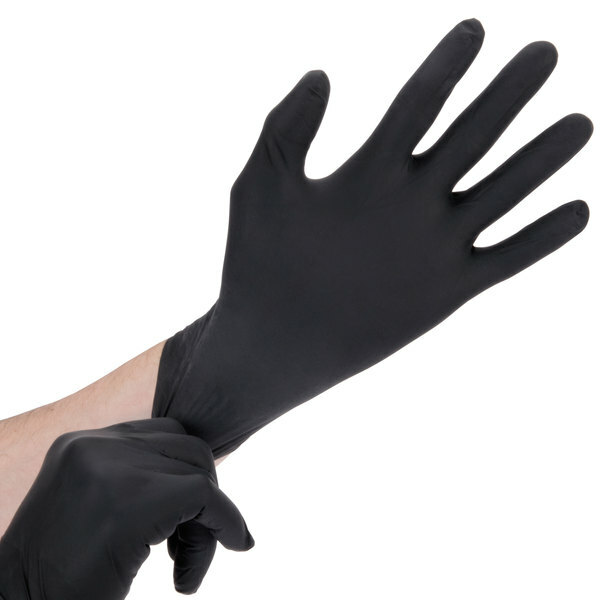 These are really great for someone that wears gloves all the time in the kitchen. 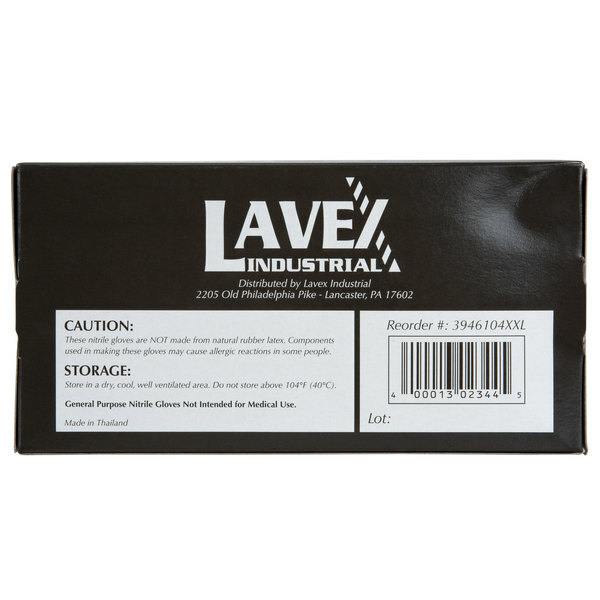 They are really really durable and they are really thick.